Welcome to The Arc Rockland. 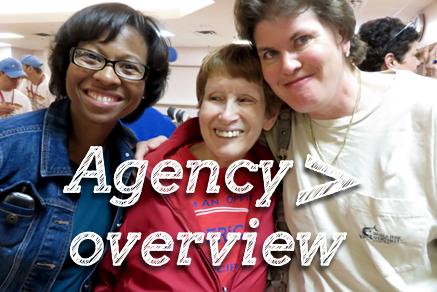 We provide supports and services to more than 1,200 people with intellectual and other developmental disabilities. The Arc offers a Preschool; residential offerings; employment and volunteer opportunities; a program designed specifically for adults with autism spectrum disorders; community activities; senior citizen programming; family resources and support; a medical practice; recreational activities and more. With a professional staff of 700, The Arc has the expertise and experience necessary to focus on abilities. We work hand-in-hand with individuals and families to ensure that each person is an integral member of the community. Receive news on Arc events and advocacy;subscribe here.